We're a group of radical designers, virtuoso developers, and avid digital marketers with a passion for what we do best: eCommerce. As a full-service eCommerce agency, we take a total-solutions approach to solving problems by offering complete and integrated in-house services. Our team focuses on communication, transparency, style, and measurable results. We dive deep to understand your market trends, conversions, and user behavior. atmosol has you covered from strategy to design, development, digital marketing, and maintenance. We focus on the details so you are free to think clearly and lead your business from the executive strategic level. Together, we aim to become your partner in success. We make more than awesome websites. We make your entrepreneurial dreams a reality. 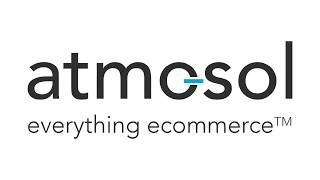 “Over the past two years, atmosol has become a pivotal BigCommerce partner – one that we turn to when clients need effective eCommerce design and strategies rooted in data and customer experience.” – Dan Fertig, Global Director, Design & Solution Partner Program at BigCommerce. BigCommerce comes with a variety of templates. If you want your business to stand out from the crowd, you need custom design. Whether you want to fine-tune web elements, or plan a major revamp, you can trust our team of expert BigCommerce designers to make an impeccable layout that elevates your brand. Once we kick-start the creative process, our designers churn out mockups and iterate on them until you get a polished design that’s styled to convert. Do you have a pesky technical issue that isn't easily solved? That’s where having an experienced BigCommerce developer comes in handy. If you’re looking for a BigCommerce custom solution, look no further. Our seasoned team of BigCommerce developers have worked on hundreds of custom solutions, and they always love a new challenge. We know the BigCommerce ecosystem through-and-through, and most importantly, our team's experience saves you time and money. Ranging from BigCommerce web design, to API integration, deep customization, and unique solutions, we’ve got you covered. Learn what you can gain through atmosol and BigCommerce’s long-term partnership, where all services are 100% US-based and completed in-house by certified developers. If you’ve migrated your data before, you know that it’s a massive undertaking. Each eCommerce platform organizes data differently, and there are various types of data to migrate. We’ve seen it all, from custom sites with no data export function, to clumsily executed apps that jumble your formatting. Rest assured, we know what we’re doing. We identify what needs to be transferred, use sample CSVs, and tease out the best way to extract and reformat data to fit your new platform. Sadly, not all data can be migrated. Encrypted data, such as passwords and credit card numbers, are not accessible for transfer. When that happens, we recommend sending an email blast to let your customers know that they need to create new passwords in your updated system. Sometimes you need more than API integrations. If you need standardized, portable, quality data with no redundancies, then you’ve come to the right place. You benefit from the fact that we have a team dedicated entirely to integrations. We’ve worked with B2B, B2C, and D2C clients to solve complex issues. With BigCommerce, our developers have built and customized hundreds of data connectors that allow you to exchange data between all applications and sources. From state-of-the-art to legacy systems, atmosol can move your data safely to and from your BigCommerce site. Your business needs are sophisticated, and sometimes that means you need more than what BigCommerce offers out-of-the-box. When that happens, it’s time to look into custom API integrations. Expand your website functionality with atmosol’s creative integration solutions, tailored specifically to your needs. Learn why atmosol has earned a reputation for being a leader in eCommerce custom integrations. What does it take to be called a BigCommerce Expert? Is it the 100+ Bigcommerce stores serviced and launched? Or 100+ hours of continuous learning and ongoing training? If you’re like us, you earn the right to be called a Bigcommerce expert by achieving them all. Not to mention, our clients have remained loyal for years. On top of that, we have a shiny Premier Partner badge to give you the warm fuzzy feeling that comes with knowing how good we are at Bigcommerce. You have a sleek, modern store with custom features for a killer user experience. But if no one finds your amazing eCommerce store, what’s the point? Our SEO mavens are up-to-speed on the ever-changing Google algorithm trends and changes that weigh into your search rankings. With expert SEO copywriters, we craft compelling title tags, meta tags and alt tags that make you stand out from the crowd. Our eCommerce digital marketing team can take you from zero to hero with on page optimization, keyword research, brand storytelling, social media presence, and more. If you want your web pages to be found easily on Google with click-worthy copy, trust atmosol to take you there. Crafting a superior digital marketing is one of the most important and challenging aspects of building an eCommerce site. By optimizing your website for your target audience and user behavior, you can greatly increase your chances of getting visitors to convert. To help you achieve this, atmosol has Google and Facebook certified Digital Marketing Experts who are well-versed in the entire suite of digital marketing strategies including Search Engine Optimization (SEO), copywriting, content strategy, user experience, A/B testing, brand analysis, Pay-Per-Click (PPC) campaigns, social media management, email marketing, and more! We help you find the right type of mobile presence for your business. If you’re looking to establish a new mobile presence, upgrade an existing one, or add a mobile component to your Bigcommerce store, look no further. We have an app for that. Depending on your specific needs, we craft different mobile strategies. Mobile responsive designs are imperative to eCommerce success. That’s why we design and develop responsive templates as a gold standard. Our eCommerce design themes are optimized across all mobile devices, including iPhone, iPad, Android smartphones and tablets. Designing sharp and sleek creative designs, we make sure your eCommerce store fosters an emotional connection, and stays consistent with your brand identity on all devices. Finally we use sophisticated testing tools to make sure your site loads fast, looks crisp, and works well across common mobile devices. Your mobile presence is an interconnected part of your business. We make sure it seamlessly integrates with your existing website, brick-and-mortar stores, and other consumer touch points to create a true omnichannel shopping environment. atmosol’s BigCommerce post-launch support and maintenance services are unrivaled in the industry. We handle the back end of your site so you can continue to focus on growing your business. Beyond keeping your site secure, our support staff includes strategists, designers, developers and systems administrators to make sure your site receives the same level of professional care after it launches as it does during development. Agile and Innovative, our eCommerce experts revel in the opportunity to craft custom, conversion-focused design, development & marketing solutions that set you apart from the pack.